MKI MR2 Front Outer Tie Rod End Some of the most overlooked suspension pieces are the ball joints and tie rod ends. Worn out tie rod ends can affect your wheel alignment, degrade your steering and lead to rattling in the steering components and premature wear of the steering rack and bushings. 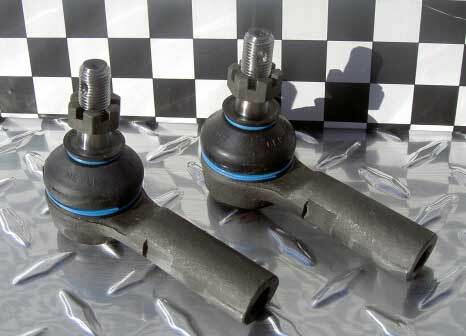 If your car has over 100K miles on it, you are long overdue for new ball joints and tie rod ends! Price is per tie rod end. If you need a pair, be sure to order 2!